In December, Lyft will launch six new driver-friendly updates -- including default tipping, mid-ride tipping, and rating protections -- to a limited number of passengers, with a wider rollout planned for 2019. The ride-hailing company announced on Thursday that “select” passengers will see a default tipping option in the app’s settings next month. If riders choose this option, the company will automatically apply their specified tip percentage to the driver’s earnings when they don’t rate a trip or add a tip themselves. An in-ride tipping option will let riders leave a tip during their ride as a way to ensure riders don’t forget to tip at the end. Lyft said it found that riders open the app during more than half of trips, suggesting an in-ride tipping option could result in an earnings bump for drivers. 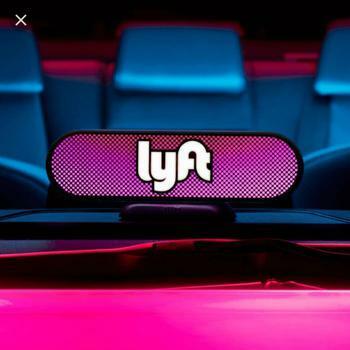 “We’ve seen that Lyft riders open the app during 53 percent of trips, and we’re making it easier for them to tip when they do,” the company said in a blog post. The company will also start asking riders to justify any rating less than five stars and will exclude low ratings for circumstances that were outside of a driver’s control, such as bad traffic. Additionally, if a rider doesn’t leave a rating, Lyft will default to giving the driver a five-star rating. The company said it found that most people who don't rate drivers tend not to do so because everything went smoothly. Lyft is also launching an event planner feature designed to give drivers a heads up about upcoming local events. The app will also display a demand graph that shows the busiest hours of the day. “And that’s just the start. Stay tuned in the coming weeks for even more improvements, every one designed to help you reach your goals,” the company said.